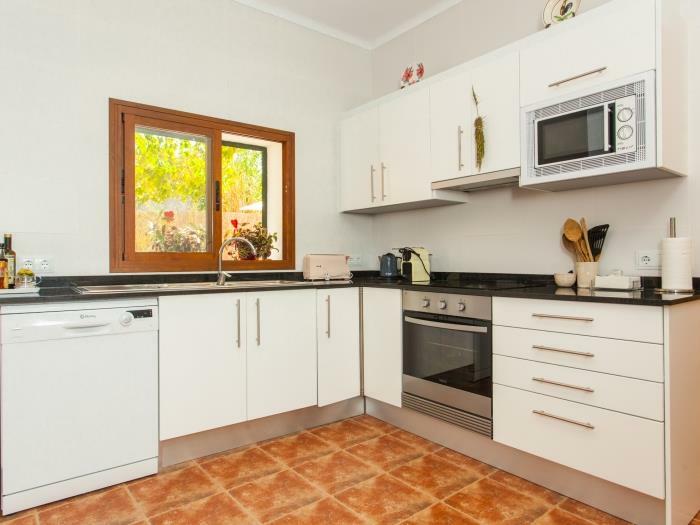 VILLA PAULA is in Es Llombards. 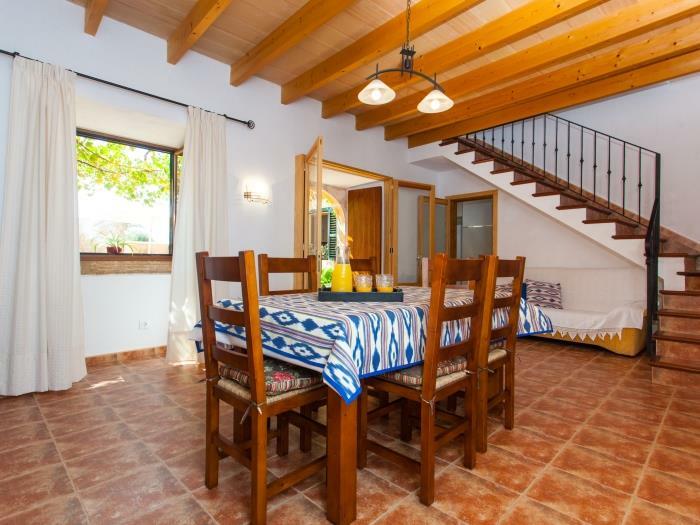 It is a two-storey village house of 180m2. 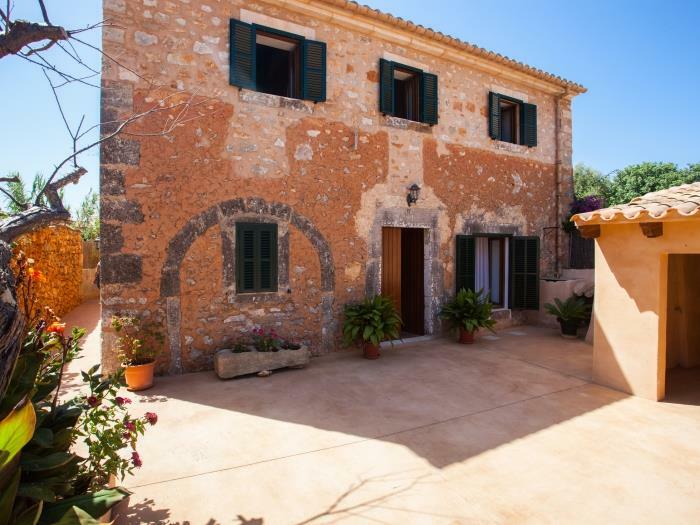 There are 3 bedrooms and two bathrooms and it is very close to the beautiful beaches of this part of Mallorca. 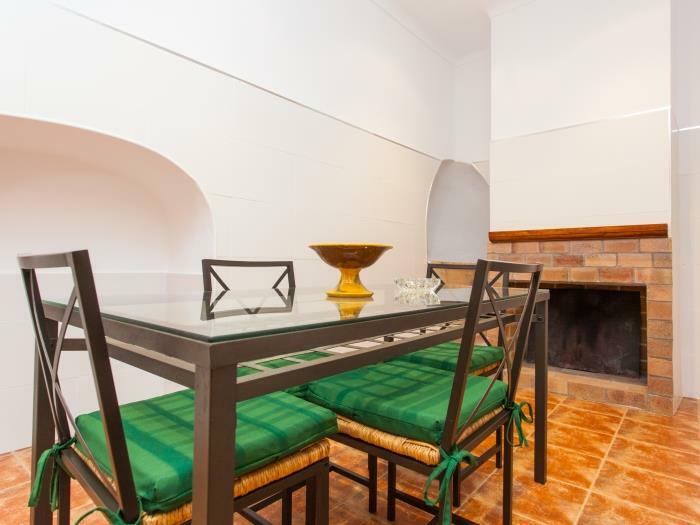 Accommodates a maximum of 6 people. 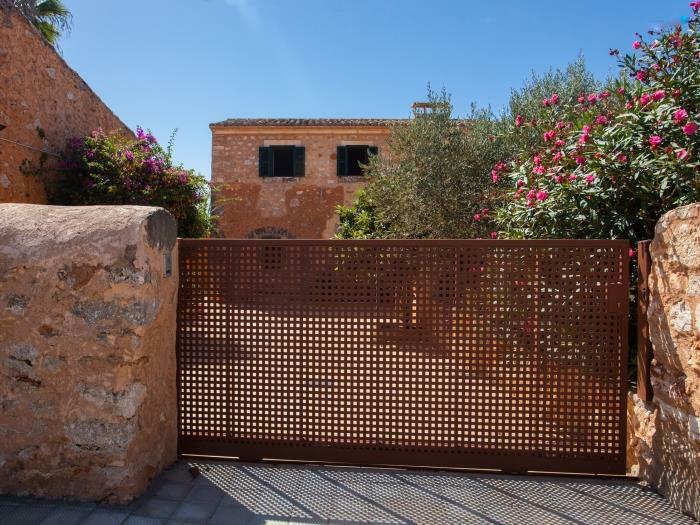 VILLA PAULA is a totally-renovated village house that preserves the charm and character of a traditional Mallorcan home. It is a simple and practical house. A perfect place to spend summer days. 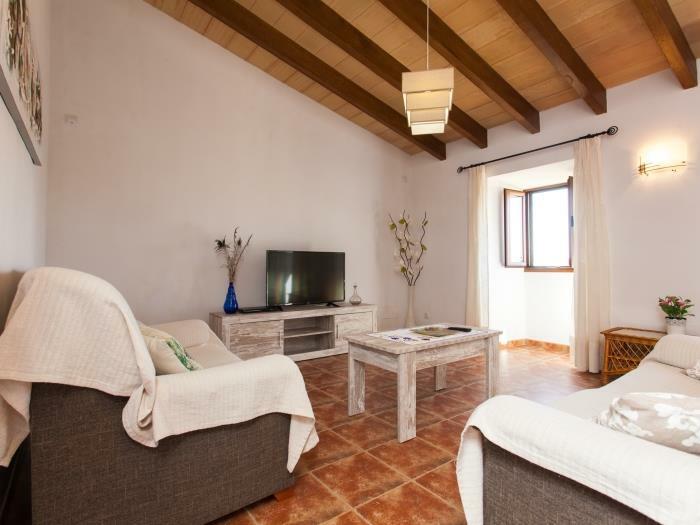 Its proximity to beautiful beaches in the area (Cala Llombards, S’Almonia, Cala Mondragó or Es Trenc) and nearby villages, with restaurants and open markets, makes it an excellent destination: an ideal point from which to explore the south of the island. 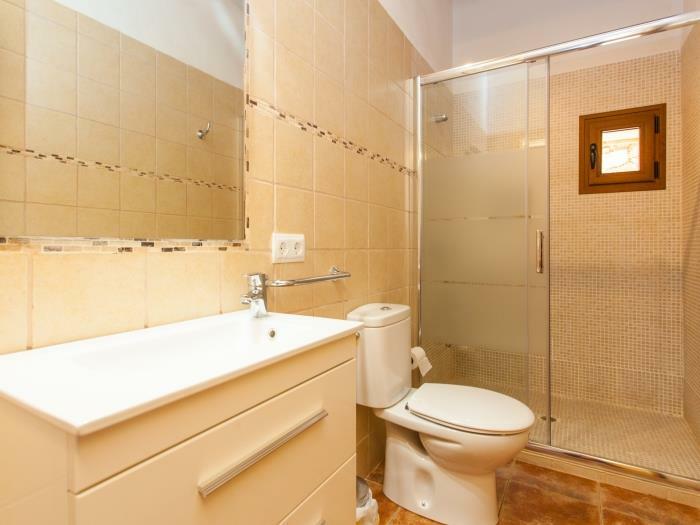 And it’s the perfect place for those who like to get home for a rest. 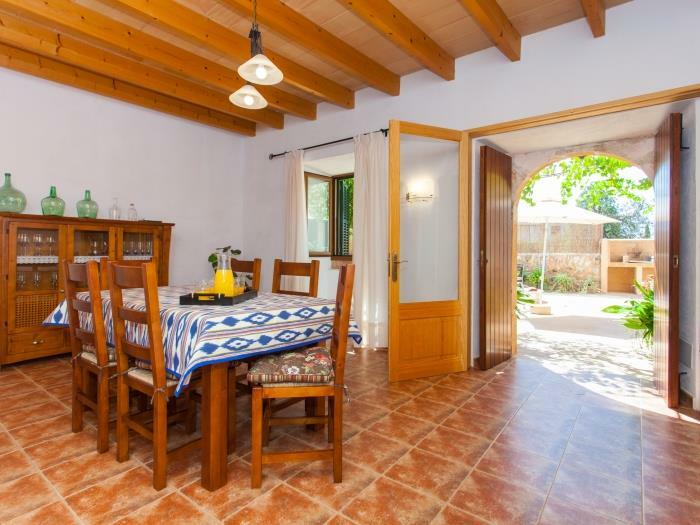 At the back of the house you will be able to spend long evenings on the patio, a comfortable area very typical of Mallorcan houses and a fine place to have dinner, prepare a barbecue or lie in the shade of the great vine which frames the stone façade. 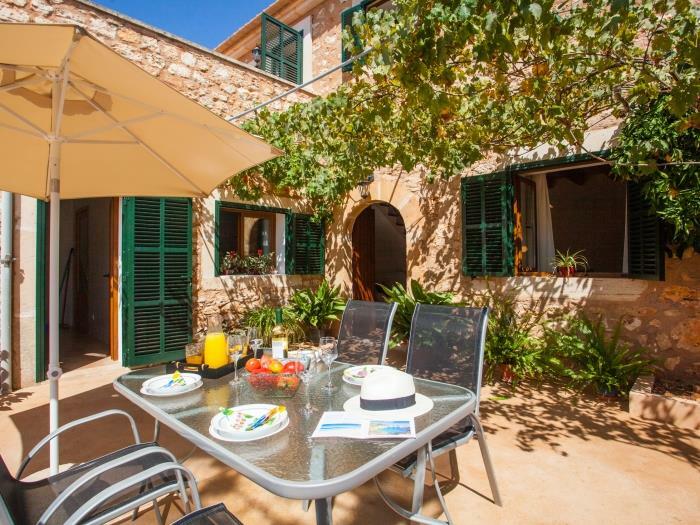 On Mallorca the word “lujo” - luxury - has many connotations: when natural light and the sky filter through the upstairs windows, this is a “lujo”. Or to get up in the morning and see the views from the upper terrace is another. 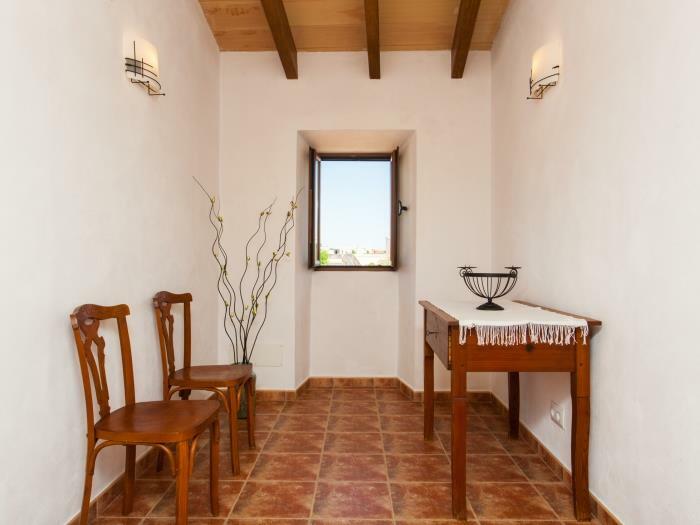 Here you will understand that sometimes luxury is nothing more than that which VILLA PAULA has to offer. 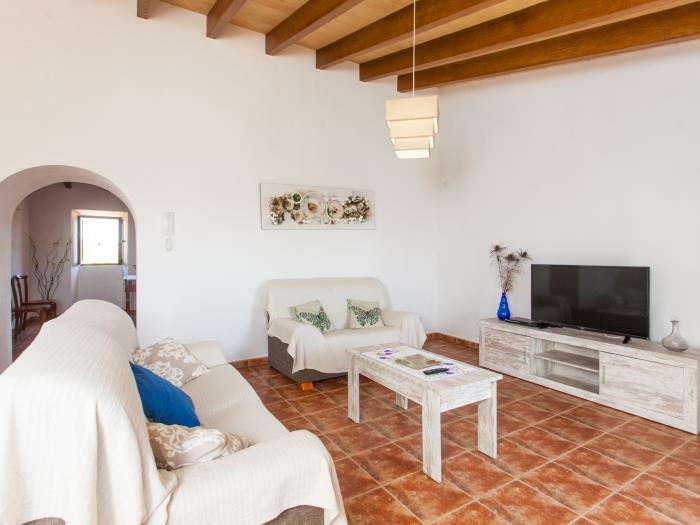 VILLA PAULA is available exclusively through Santanyí Rentals.